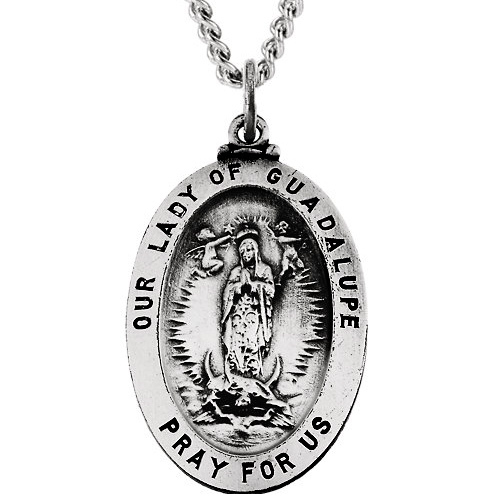 Antiqued sterling silver lady of Guadalupe medal dangles from a 24-inch sterling silver curb chain. Medal dimensions: 25.5mm x 17.75mm. This item is the size of a quarter. Weighs 2.98 grams. Available while supplies last. Made in the USA.